Nuzzel, one of the best ways to get news without the noise, is getting an update that will take it beyond Twitter’s walled garden for the first time. 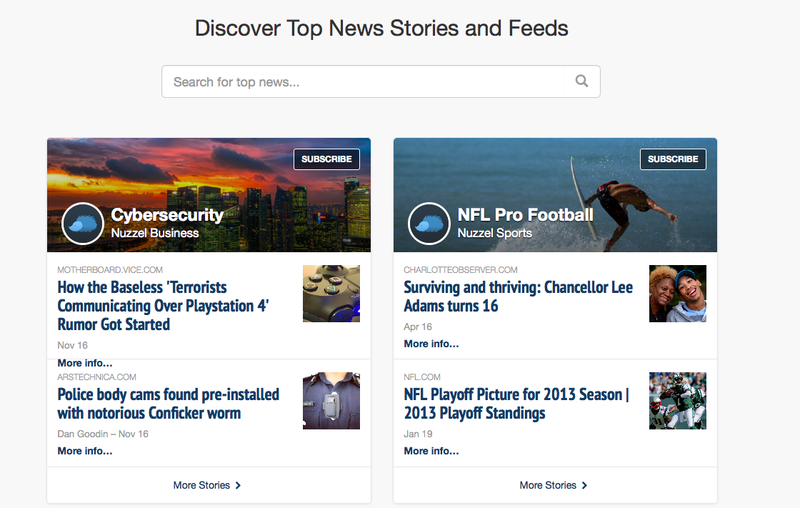 Now you’ll be able to get the service’s great ability to surface the news without logging in, thanks to a new Discover mode that helps you find recommended feeds curated by both the company or its users. The update also adds search for both feeds and stories to help you find things you might be specifically looking for and lets you add feeds to your favorites for quick browsing later. Even without logging in you can subscribe to other Twitter users’ feeds and get email or push alerts from when their network shares a story widely. If you want personalized news from friends in Nuzzel, Twitter login is still required. It’s the first time that the company has moved beyond relying on Twitter, which seems to be a wise move as the social network builds out Moments for news. Nuzzel is great, because even as the giants like Facebook look to own push notifications for news with dedicated mobile apps, it cuts down on the noise by only showing you stories widely shared by people you care about. The app is free, and the 2.0 updates are available on iOS, Android and the Web from today.